Land use changes and development near transmission pipelines can create risks to communities and to the pipeline infrastructure. Safety is a primary and common goal for all stakeholders and should be considered when decisions are made that impact life, property or the environment. Early communication among stakeholders can help. Doing so will ensure that development plans minimize risks to the people living or working nearby, and are consistent with the needs and legal rights of developers and pipeline operators. A planning area should not be construed as an unsafe area and the planning area distance is not intended to be used as a fixed setback distance. Rather, these are areas where additional development regulations, standards or guidelines to ensure safety should be considered. PIPA Recommended Practices ND11 through ND23 describe additional considerations for use within a planning area. 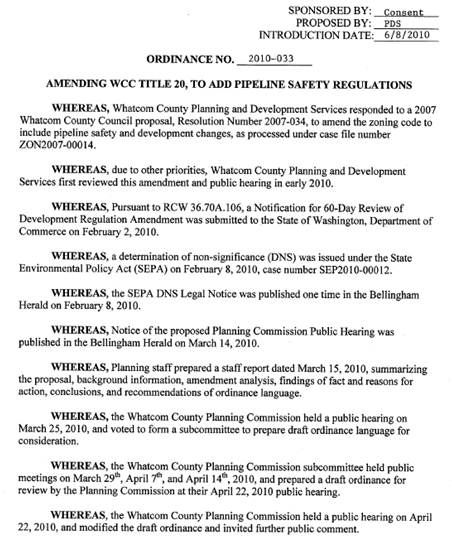 However, in either case it is recommended that communities develop and utilize site-specific distances for planning areas, based on the unique characteristics for the pipeline and the area surrounding the pipeline. Generally, consultation zones and planning areas larger or smaller than the recommended default distances may be warranted. The most effective way for a local government to ensure early communication among stakeholders to help them make risk-informed decisions about land use and development near transmission pipelines is to require by ordinance that such communication be conducted. PIPA developed a model ordinance which is included as Appendix B in the PIPA Report (a link to the model ordinance is provided below). Additionally, several communities have already taken steps to require by ordinance that such communications occur. An overlay is an additional "layer" of zoning targeted to a specific area with special needs. 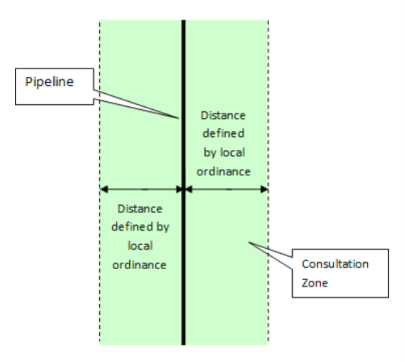 Brookings County adopted a consultation zone and a planning zone ordinance which uses an overlay district to identify when development is planned near a transmission pipeline. The Transmission Pipeline Risk Reduction Overlay District was incorporated into the County’s GIS and is used primarily when issuing zoning and building permits, to facilitate discussions among developers, landowners, and pipeline operators. The consultation zone is an area within 660 feet of existing pipelines. When a building permit is requested within the consultation zone, the person requesting the permit is verbally informed that the building is being constructed near a transmission pipeline. A pipeline safety brochure is provided along with the building permit. 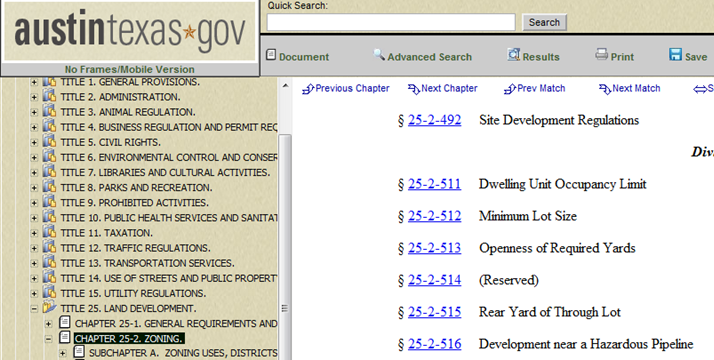 The permit office notifies the pipeline operator of the building permit request, and the type and size of the building. The property developer/owner must initiate a consultation with the transmission pipeline operator as early as possible in the development planning process. The planning zone distance is determined based on the site-specific and pipeline-specific characteristics. The planning zone is a tool to identify where new development requires a physical response. When an individual or organization requests a building permit and the location is within the planning zone then the permit office staff will request a detailed site plan – a hand rendered drawing will suffice. The building permit requestor will be given a brochure with information on the point-of-contact for the pipeline company, and the recommended land management practices for new development near existing transmission pipelines. The requestor will also be notified to contact the South Dakota One Call to have the pipeline located and marked prior to the issuance of a building permit. The individual or organization requesting the building permit must then confirm or correct the actual location of the pipeline on the site drawing. If excavation will occur completely outside of the pipeline right-of-way, a building permit will be issued. The pipeline operator will be notified that a building permit has been issued and will be provided with the location of the construction by the permit office. If excavation will occur inside the pipeline right-of-way, the developer must obtain a written, signed encroachment agreement from the pipeline operator. The encroachment agreement must be submitted to the building permit issuing office before a building permit will be issued. The pipeline operator will be notified that a building permit has been issued and will be provided with the location of the construction by the permit office. Residential lots less than 1 acre cannot include a "restricted pipeline area"